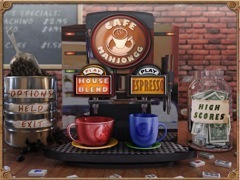 Order up a tall latte and immerse yourself in the wonderful world of coffee at Cafe Mahjongg. Match tiles to earn your favorite coffees from around the world! 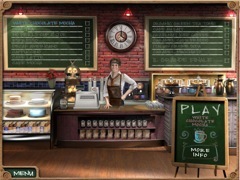 Try out the House Blend for a story adventure or Espresso if quick Free Play is more your flavor. Earn up to 15 different coffees including No Frills Cup O' Joe, Decaf Americano, Hazelnut Iced Cafe, Cafe Au Lait and more are here and waiting to be discovered. 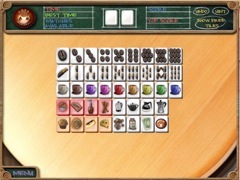 Cafe Mahjongg also features five distinctive tilesets: Coffee, Asian, Cards, Holiday and Kids. Fun for all ages. Customize and create your own unique blends - upload your favorite picture and use it as a background wallpaper while playing your favorite mahjong tileset. With over 120 original levels, Cafe Mahjongg is both a gaming and a coffee fix!